This is the predecessor to the Supertrend U11 (Universal), which allows you to calculate the stop line from median, mode and 27 other moving averages. The SuperTrend indicator is an application of the concept of MAE (maximum adverse excursion), which was introduced by John Sweeney in the mid-nineties. 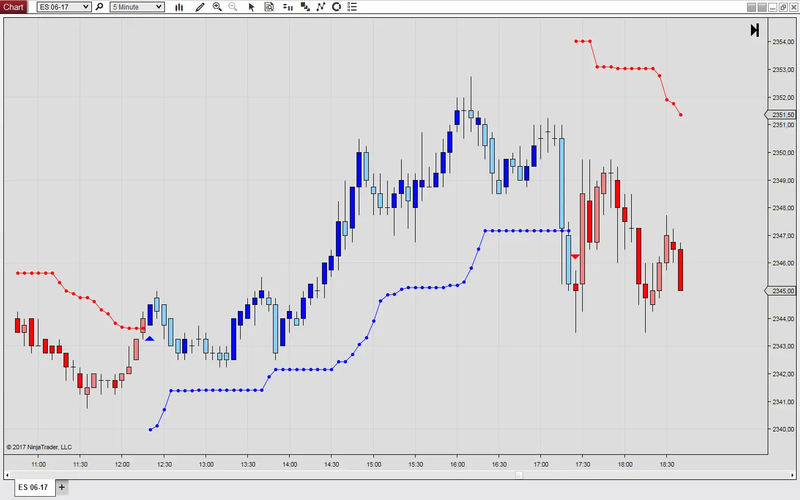 The Supertrend M11 does not use a moving average, but a moving median which is thought to be statistically more robust. 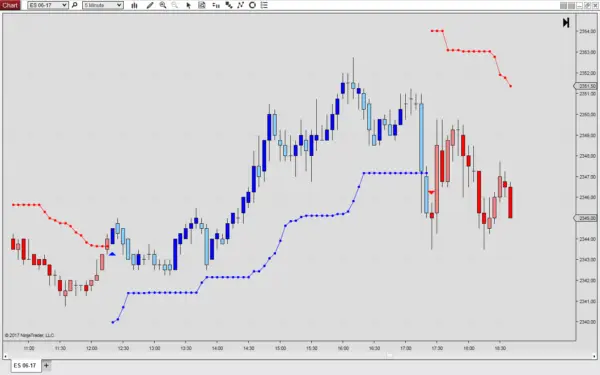 Furthermore, the indicator allows you to choose whether to switch the trend intra-bar, or at the bar close. Finally, the indicator plots the value of the median and the average true range of one bar ago. This is because the average true range erroneously will skewed to the downside when calculated from the current bar (which has yet to complete).